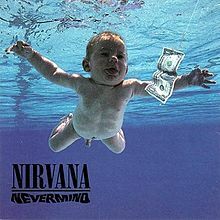 When Nevermind, Nirvana’s groundbreaking album, turned 20 in 2011, the world could not stop talking about it. Fans and music lovers reminisced on their first time hearing the record and how it got them into the band. Even the members of the band talked about that magical time before fame took them and shook things up. To celebrate the landmark album, it was reissued in several different formats boasting b-sides and unreleased material. Unlike the excellent In Utero re-release, there isn’t much here for fans that hasn’t been heard before. The first disc contains the full album and b-sides. The record itself is amazing, why wouldn’t it be, but the b-sides are nothing new. Tracks like “Curmudgeon” and “D-7” are gems, but they were previously released on the With the Lights Out box set. This doesn’t change the fact that the songs are good, it just means this is stuff we’ve heard before. The live tracks of “Been a Son,” “School,” and “Drain You” all come from their 1991 show in Seattle at the Paramount. These versions aren’t drastically different from the studio takes, but the band sounds passionate, on fire, aggressive, and full of energy. They’re nice inclusions, but don’t make the first disc anymore exciting. Things don’t get better on the second disc, which is filled with several different demos. What fans will be most interested in are the Smart Studio Sessions, which includes Chad Channing on drums. The best track from these outtakes is “In Bloom,” which is the same version found in their first music video for Sub-Pop. It’s pretty much the same song we know and love now, but the drums aren’t as heavy hitting as the version Grohl plays on. Still, it gives you an idea of what the album might sound like if Channing stuck around. The Boombox Rehearsals are really rough takes on tracks like “Lounge Act,” “Come As You Are,” “Verse Chorus Verse,” and “On a Plain.” These versions are good to hear at least once to see how the band had all the songs prepared before they started recording. All the tracks sound very similar to the final versions with the exception of some lyrical changes. The most satisfying demo is “Smells Like Teen Spirit,” which has the familiar music, but completely different lyrics. It’s just interesting to hear how the famous song came to be. There’s nothing really special about the BBC Session tracks aside from the band sounds great, but the one that stands out is “Something in the Way.” There was a demo version of this song, which included some light banter from the guys during the beginning, but it was still the song we all know now. The BBC live version takes it from something soft and quiet to heavy, hard, and aggressive. This version is intense and gives it a darker feel. It’s great to hear how they change things up and has to be the best track on the entire collection. Even better, it has not been previously released on their other collections. It’s one of the few things that will catch your attention on this collection. Overall, the album gets 7/10. This would be great for any new Nirvana fans, but if you’re an avid collector of theirs chances are you’ve heard a lot of this material before. The demos are interesting to hear, but after a while you grow bored with them. Maybe things are better on the super deluxe version, but since it includes a lot of the same material it doesn’t seem like it. Still, it’s a nice addition to any Nirvana collection.